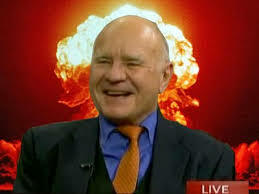 Marc Faber : Under Hillary Clinton, 80%. Under Donald Trump, 20%. The neocons led by the Bush family are pro-Hillary, because they made a deal with her, in which she does her social agenda in the U.S. while the neocons take over foreign policy. As such, the people in Asia are more likely to become harsher towards China.